A statement is an official account of facts, views, or plans. So such a statement can come in really handy when people are trying to give a full account on the current status of their health. There are some companies that won’t allow people to perform certain tasks unless they know the person’s current health condition. These health statements also help out when these people need to be treated for certain sicknesses but need proof as to why they need the treatments. However, these people can’t just go about and write their health statement on any piece of paper. 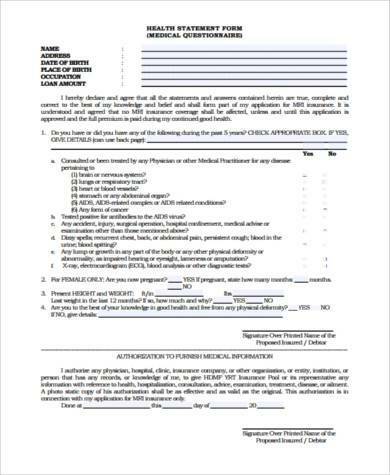 They have to make sure that these are officially documented and signed by the right officials, to guarantee that these health statements are credible for use in any given situation that they’re required. So how would these people go about that? To help them out, there are Health Statement Forms readily available here on this site. 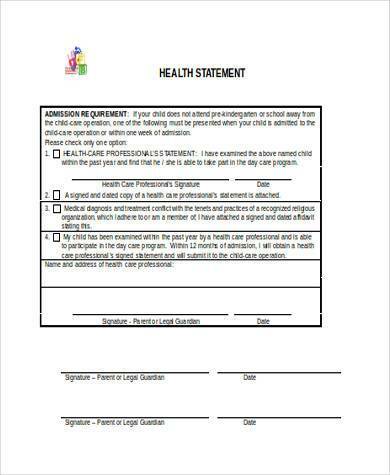 Health Status Statement Forms are the kind of forms that are used by those people who need to assure certain establishments about their current health standing. 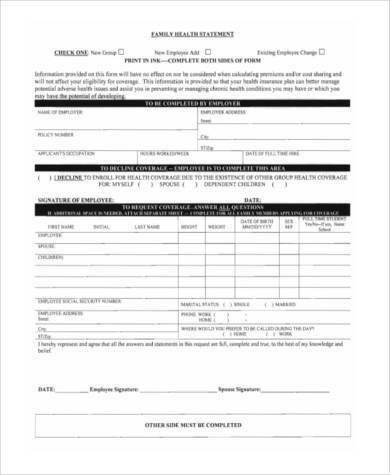 These can really help out certain event holders or company owners when they need to know of a certain person’s health and if they’re applicable to participate in certain activities or tasks. 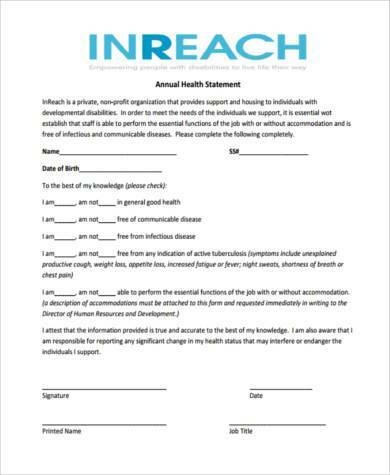 Family Health Statement Forms are very useful when all members of a family need to be individually checked regarding their current health situation. All family members must know their current health status. 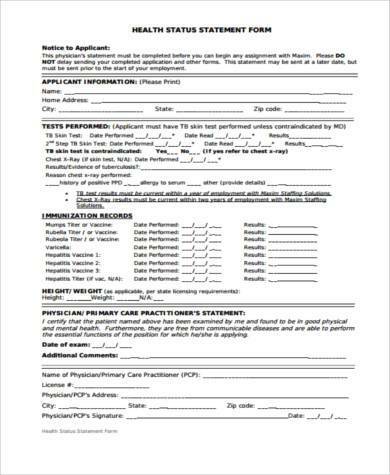 It could be that there’s a family member with a hereditary disease that could be passed on to future generations; hence, having these forms can help them know ahead of time if certain diseases run in their family. 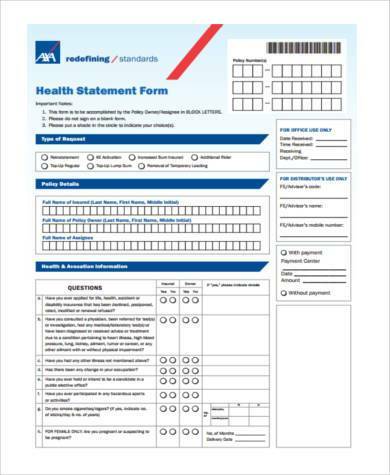 Annual Health Statement Forms are mainly used by those who perform annual statements on their health. 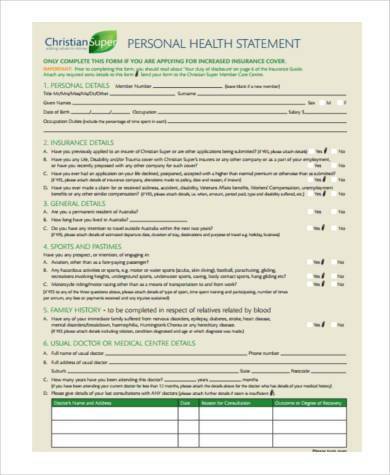 These forms help in checking all the previous reports on a person’s health throughout the year, and in properly assessing if that person has obtained any new health issues after the passing year, or if he or she was cured of any health-related issues. Think of these forms in the same way you would Financial Statement Forms. Instead of properly organizing and addressing each and every aspect that could affect your finances, you’re doing an assessment of your health instead. Wouldn’t you want to make a detailed account of anything that could seriously affect your health? This is exactly why there are forms such as Employee Health Statement Forms to make sure that all things health-related are covered. If you have a family member whom you think has a certain condition or if you think you yourself have a condition that might be passed on to your kids, then it’s your responsibility to make certain that these bits of information make it into these forms. These can really help out in the future if ever there are cases where certain medical centers need this information for treatments. These statements are also really helpful for those who need to undergo serious emergency treatments. Let’s say that a certain health insurance company is not able to hand out any money unless they understand the reason as to why the patient is entitled to the claim. 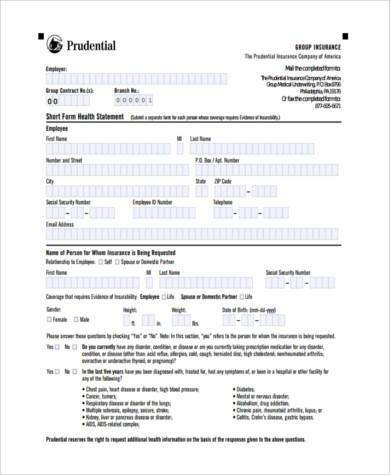 The use of these forms can help out in securing the insurance payment, assuming that the person has a health condition that deems him or her applicable.